There are few things finer in life than food and, being that me and Rebecca’s trip to Parksville had been so packed full with fantastic cuisine at every turn, it was fitting that we ended our girls’ getaway with the dinner of all dinners. 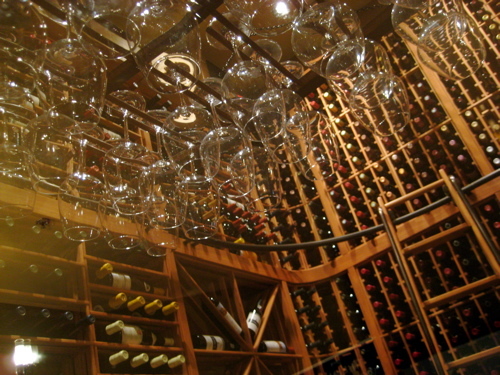 It’s impossible to walk in the front doors of The Landing West Coast Grill and not notice the immense wine cellar as you enter. Recently installed, the cellar is capable of storing quite literally thousands of bottles of wine and is maintained through an exact science. Wine is both exquisite and temperamental in nature, which I suppose is the reason it is also so perfect. This cellar is truly a source of pride for the Landing’s in-house Sommelier, Atilla Cimsit, who has put countless hours of love and devotion into creating this for the restaurant. Also not to be overlooked is the Landing’s impressive 6,000+ gallon aquarium that swims its way through the centre of the dining lounge. I found it both intriguing and peaceful. It should come as no surprise to anyone that Rebecca and I are suckers for anything made of bread or any kind of cheese. When you put the two together, it’s double trouble (and I’m not just talking about us girls). Naturally, this was the direction we wanted to take in ordering our shared appetizers. 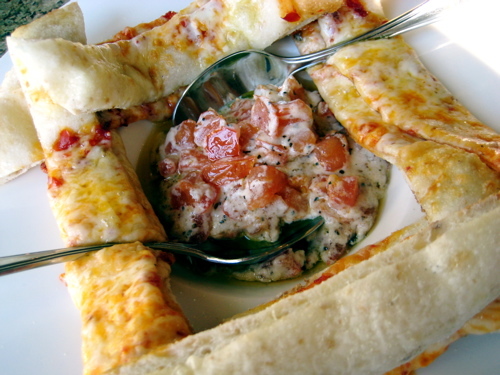 Because we couldn’t decide between the Warm Oregano and Cheese Whole Wheat Flat Bread with Artichoke & Parmesan Dip or the Spicy Fire Cracker Flat Bread with Warm Goat Cheese and Tomato Dip, we ordered both. 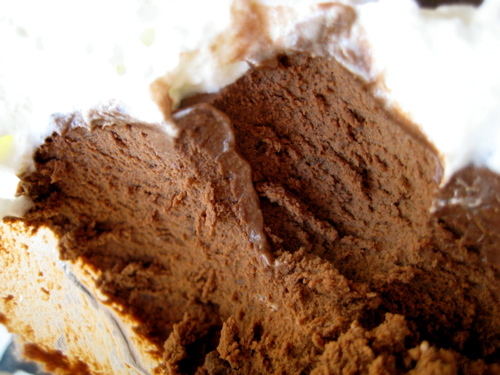 And yes, this was in addition to the savoury artisan breads with fresh butter delivered to our table. 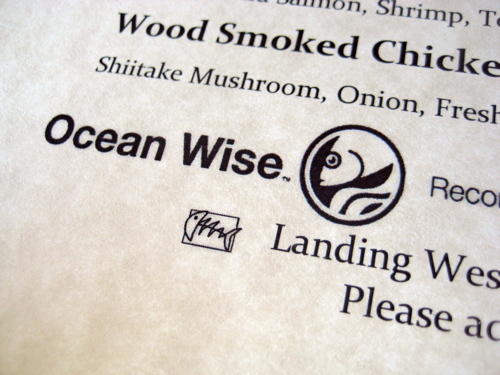 While I don’t eat meat, I was quite happy to see that The Landing is a huge supporter of the Vancouver Aquarium’s Ocean Wise program by serving sustainable seafood choices. This meant Rebecca could indulge in her Cedar Plank B.C. 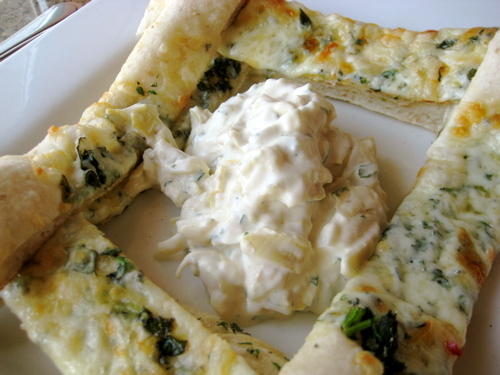 Wild Salmon completely guilt-free! 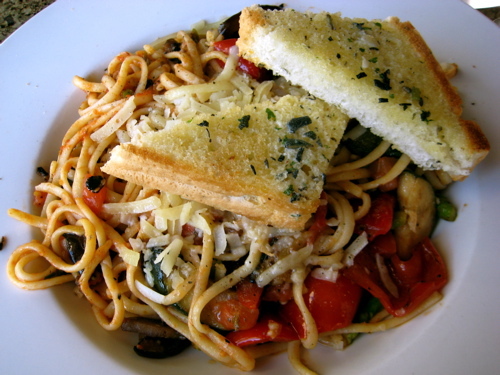 I chose the Linguine with Alder Wood Grilled Vegetables and Herbed Olive Oil. While it may sound plain, it was seriously anything but. Never before have so many vegetables danced so wildly on my tongue! Just when I thought our bellies were about to burst and Rebecca and I couldn’t possibly fit another bite into our mouths, a wooden tray was brought to our table. Somehow there is always room for dessert, and we watched each others’ eyes grow as we were presented with the entire dessert menu. While for a moment I thought it was implied that we were to try each and every single one of the bold creations, we chose two and shared. This concept was (almost cruelly) fantastic in that, rather than trying to envision what you’re deciding off the menu, you instead know exactly what you’re ordering. 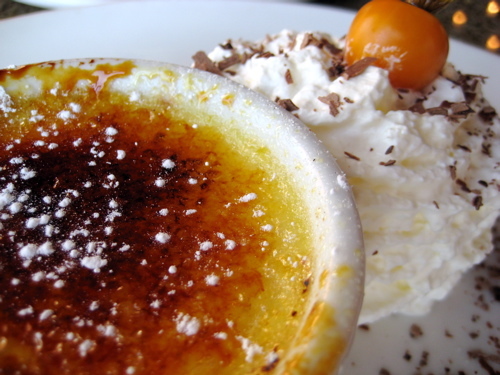 After humming and hawing for close to five minutes over the dessert tray, we decided to split the orange-tinged chocolate mouse and a raspberry and lemon-laced crème brûlée. 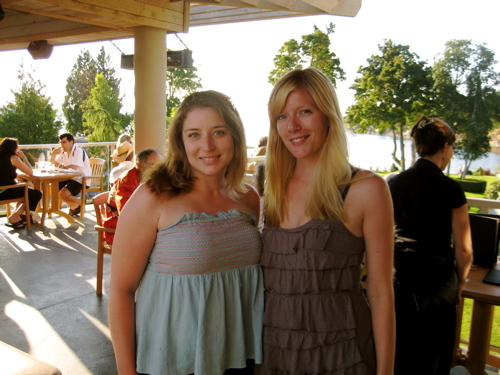 After two days in the Parksville sunshine topped off with a fantastic meal, I think we both look deliciously sun-kissed. 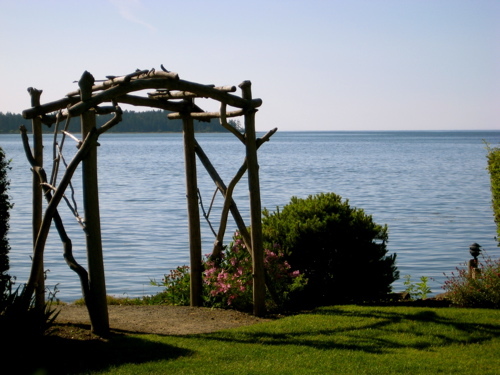 The beauty about calling Vancouver Island home is that, no matter where on the Island you are, there’s no place you’d rather be. The exciting part is knowing that the next undiscovered awe-inspiring place is always just around the corner. 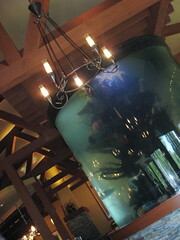 You can check out Rebecca’s review of the restaurant – and scope out some pictures of her grilled salmon – on her blog. 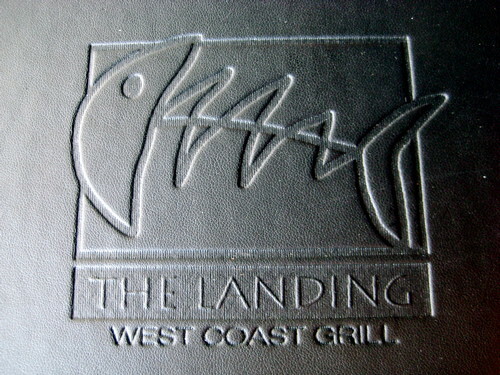 Located at Nanoose Bay’s Pacific Shores Resort & Spa, The Landing West Coast Grill is open year-round with their delectable menus at 1-1600 Stroulger Road. To find out more about the restaurant or to make reservations, please visit their website or call toll-free at 1-888-640-7799. 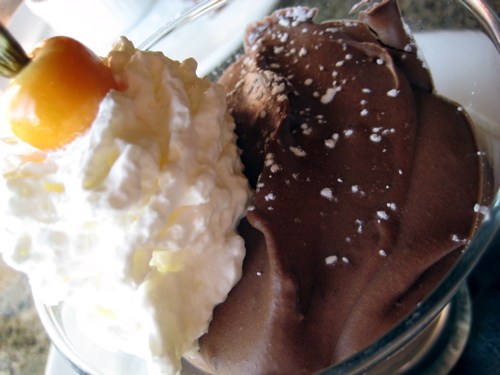 Okay….so I just finished dinner and now I am hungry all over again…at least for that dessert!